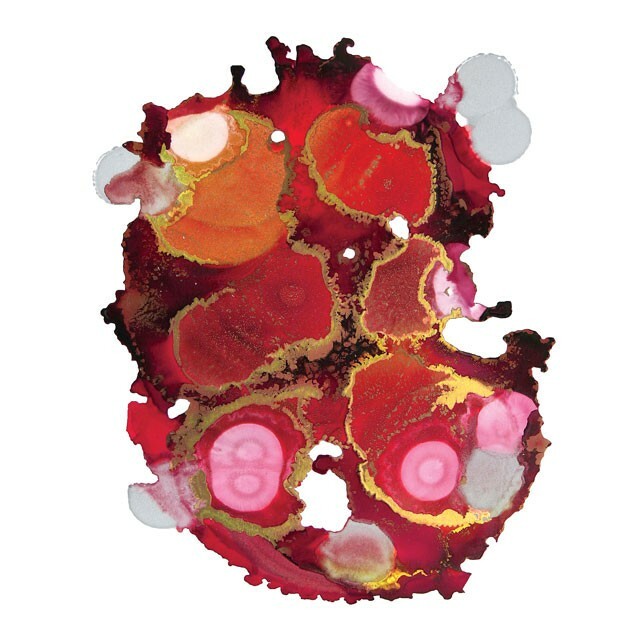 Fun and amazing… the Piñata Alcohol Inks have arrived in store! We now carry the full range (19 colours), in the two sizes (14.79 ml & 118.29 ml) of the Piñata inks. 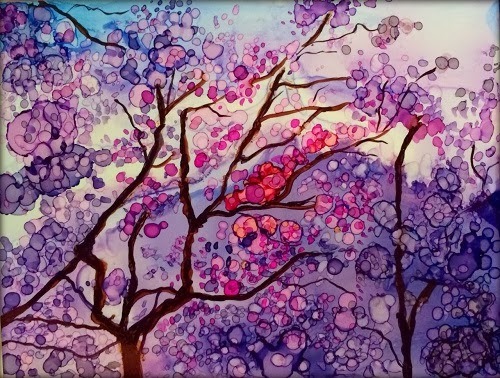 These are highly saturated, fast-drying alcohol inks for any hard surface, including glass, metal, plastic, vinyl, ceramic, stone, leather, YUPO, foil, wood, encaustic, fiberglass, acrylic, polymer clay and more. Indelible and impervious to water once dry, Piñata Colours clean up with alcohol and re-wet themselves, allowing for unique effects and techniques not easily achieved with water-based systems. As a dye-based, highly transparent ink, Piñata Colours are unparalleled for vibrancy, and only the most lightfast dyes have been selected for the palette. Acid-free with excellent adhesive properties, Piñata Colours have become the go-to inks for any non-porous surface. There are also two Metallic Colors! Rich Gold and Silver are formulated with REAL metal pigments and are super opaque! The metal particles are tiny and they lie flat which produces a highly reflective, smooth metal surface. The Piñata metallic colors are perfect for scrapbookers and paper artists whenever a true metallic is desired, as well as for oil painters, acrylic painters, window painters, sculptors and crafters of all kinds. You can watch a short video about the metallic colours, just click here. And there also white… Blanco is an opaque, pigmented color, used for creating tints and pastels. There are dozens of videos on YouTube showing you possible applications but, as always, it will be your creativity and imagination that will find ways to have fun with these! Previous Post Paint drying too fast in this heat? Next Post Paper making demo this Saturday… book now!